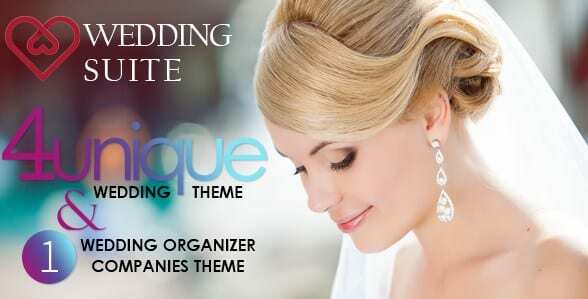 Wedding Suite is a WordPress Wedding Theme being distributed by Themeforest. Wedding Suite comes with four different templates with quite unique design, RSVP Form, Countdown and Guestbook. Download Now Wedding Suite – WordPress Wedding Theme . You’ll receive the exact .zip file you would download from the original author. You can save your money up to 99% and 100% virus free.